Upcoming artist 9 Spiritus is rocking the gala with his own brand of hip hop and rap musicality. His tracks are already trending and streaming worldwide. LAUDERHILL, Fla. - Dec. 18, 2018 - PRLog -- Rising artist 9 Spiritus is causing a craze amongst music fans worldwide with his refreshing and different approach to hip hop and rap musicality. This talented Florida based hip hop artist produces meaningful hip hop and rap musicality which speaks as well as reaches out to the listeners in a deep and personal way. He has a production house named Wizesouls. His latest EP named Spiral is already trending across multiple platforms. He adds a new dimension to the hip hop and rap music genre. His tracks are already viral on Tumblr, Instagram and Twitter. 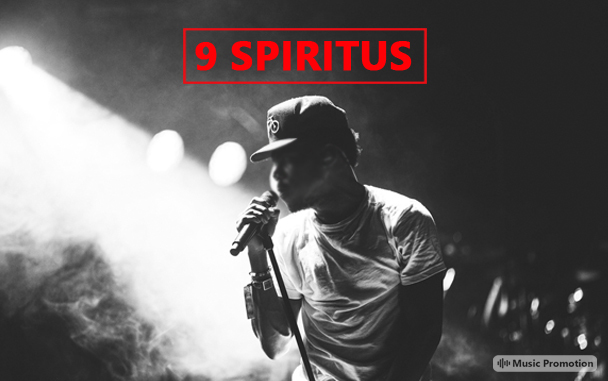 This skilful artist named 9 Spiritus has brought a powerful and cutting-edge approach towards his music. There is a unique level of emotion which seldom discussed in the rap and hip hop genres. His two latest tracks named 'Madness Of Love Prod. Jacobsen' and 'Liberation Prod. D-Low Beats' has perfectly portrayed the attitude of complete emotional withdrawal. 'Madness Of Love Prod. Jacobsen' is a single with a meaning which you will not be able to find in these days. This musical piece is something of a deeply personal art that has all the characteristics of a solid and super-hit single. The beats of this track 'Liberation Prod. D-Low Beats' hit you hard than any other gritty song you will ever hear. The hard-hitting truth transcends beyond the song, the artist and the time itself. It is a deeply personal offering which will astound you and leave you thinking about the concepts and ideas evoked by the artist. He has pushed all the boundaries and has produced musical pieces which are completely relatable to music fans of all genres. His tracks can be heard, understood and can truly be felt by anybody, irrespective of their musical preference. This trait is in itself a mark of a true musical masterpiece.